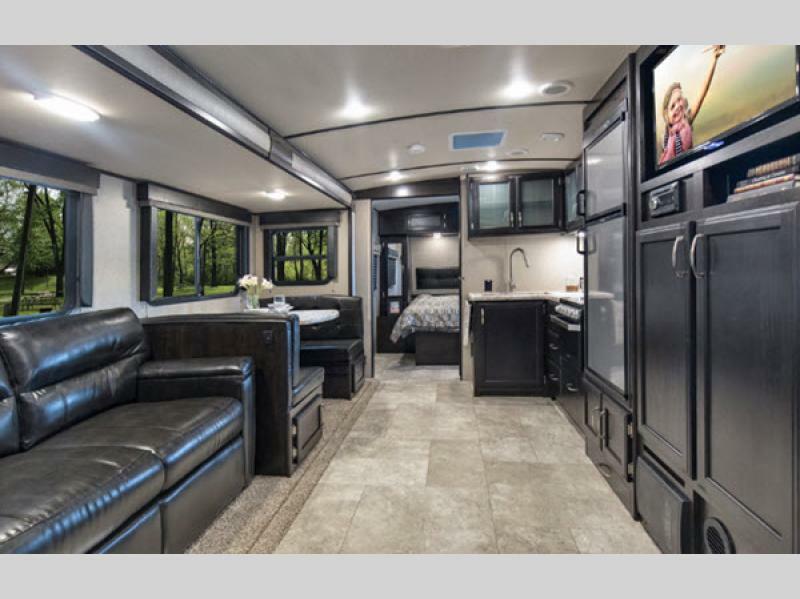 RVers seeking a high quality travel trailer that offers a luxurious living experience need to check out the gorgeous Imagine travel trailer. These RVs were designed with families in mind. They come with tons of standard features that you’d expect to pay more for. 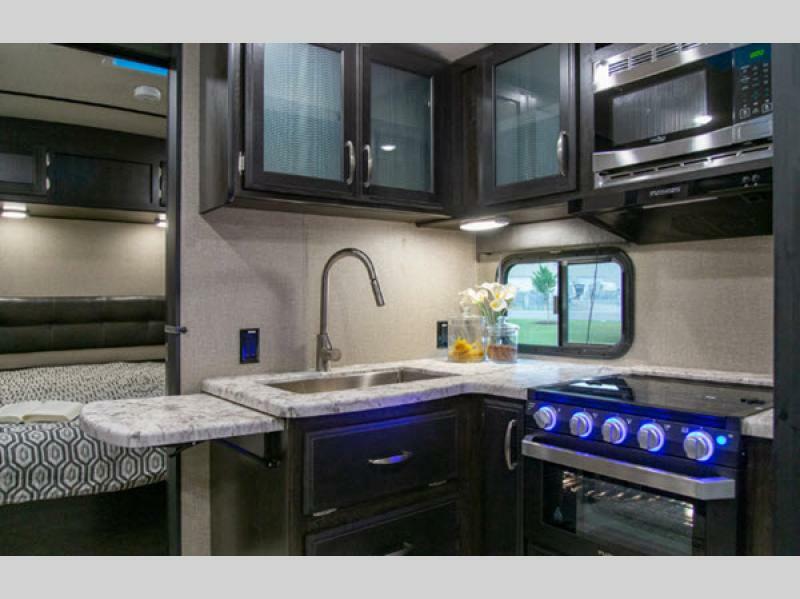 Learn more in our Grand Design Imagine travel trailer review. This delightful kitchen offers you all the space and amenities needed to make amazing, mouth watering meals for the whole family. And for those days when you don’t feel like cooking you will love being able to simply heat up leftovers. At the end of the day it’s nice to be able to have a spacious, plush, and inviting living room to kick back in. Pop on a movie or play a game with the family. Whatever you choose to do, you’ll enjoy doing it in the Imagine. In fact, every Imagine floorplan comes with a gorgeous living room that seriously puts to shame most vacation homes. You will love spending time with the family in this space. Whether making memories on a rainy day or exploring an amazing destination in our country, this RV will offer everything you need to relax. You’ll love having the opportunity to relax and unwind in this spacious and welcoming bedroom. It boasts a plush queen sized bed where you’ll get a great night’s rest. Double wardrobes on either side of the bed offer tons of storage and you’ll love the attractive decor. 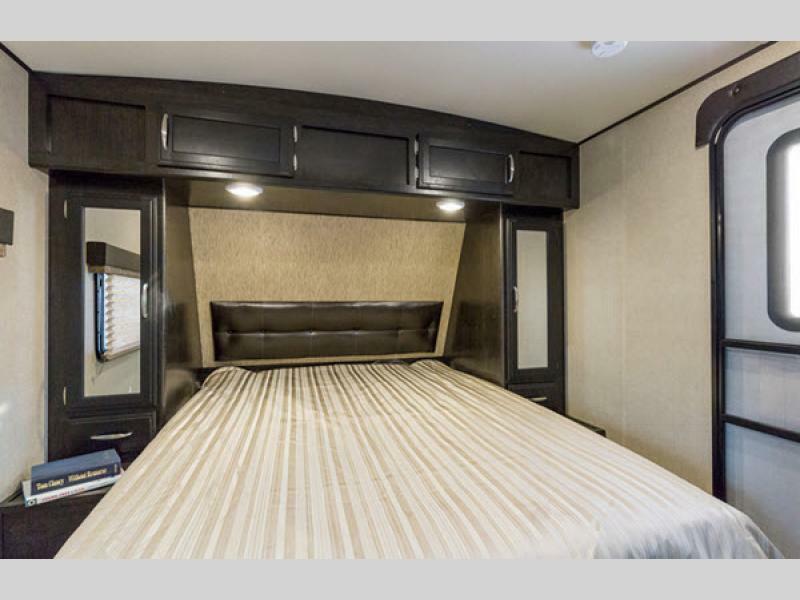 A great bedroom is an important part of enjoying your RV experience. This space provides a delightful space to truly just feel like you’re away and getting rest and relaxation. If you’re interested in learning more about our selection of Imagine travel trailers for sale, contact us. We can answer any questions you have and make sure you’ve got the information needed to make the best decision for your needs. We can also assist with RV financing.